Saint Martin’s Island is the only coral island in Bangladesh which is located in the northeastern part of the Bay of Bengal. When you will visit that island, there is lots of fun you could have. If you love cycling, you can take cycling experience over there. 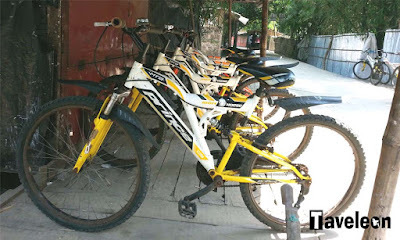 You don’t have to bring your cycle all the way to Saint Martin’s Island for biking there. You will see couple of cycle rental points in the island. 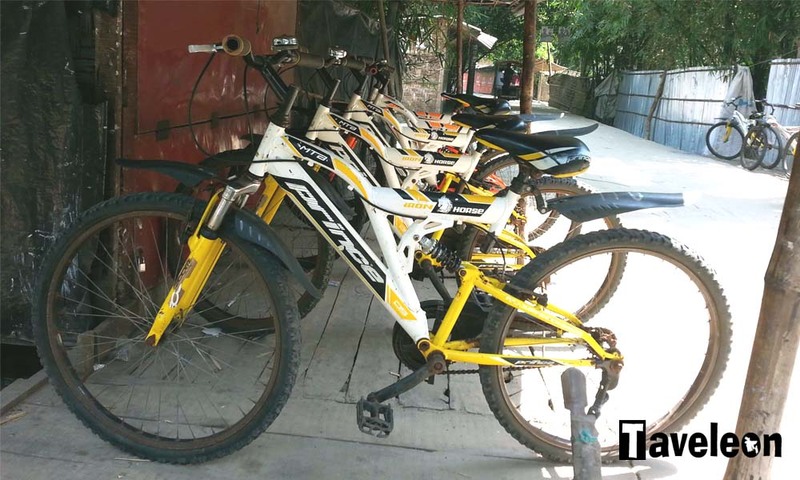 When you will enter into the bazaar area, you will see some places with the bunch of cycles in front of store. You can pick one of them by asking who is in charge for them. Rental system is hourly basis. Per hour rental cost is 30-40 taka. Before taking the cycle, check the time and make sure the guy is writing down the starting time. After finishing your ride, bring it back to the rental place to return it. It’s better rent the cycle for at least two hours. After taking the cycle you can take a ride round the island following sea beach. But it would be difficult sometime to go through dry sandy area. But for avoiding dry sandy beach, don’t go through wet sandy area. Some beach are not safe to be there even you know swimming. You can also take ride inside the island by following roads in bazaar area. You can reach the opposite side of the island by road. Tips: Before taking your cycle, make sure the cycle has no technical problem. Most of those cycles have some common problems such as stained chain, non-working break, non-moving pedals etc. So, make sure everything is working fine. Before taking one, get a trial with the one you are taking.